How does a summer music shindig sound to you? If that idea sounds good to you – then come and get some at Chateau Royale Hotel Resort and Spa in a one-night-only summer shindig on March 30, 2019 at 6 in the evening. Feel the intense summer heat without missing a beat! Celebrate the warmth of the sun as you enjoy your best summer yet with a fun and rip-roarin’ party and entertainment. 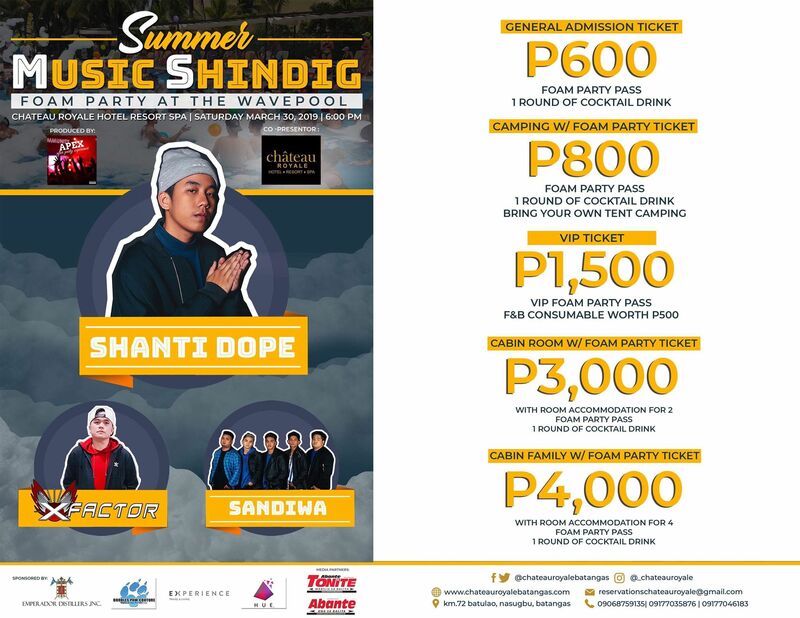 Let rapper/songwriter Shanti Dope and other guest performers like XFactor and Sandiwa pump up your 2019 vacation with an absolutely heated performance you will never forget. Chateau Royale Hotel Resort and Spa is the most happening place in the south this summer.